James Lindberg is an executive wealth adviser in Dixon Advisory’s Melbourne office. 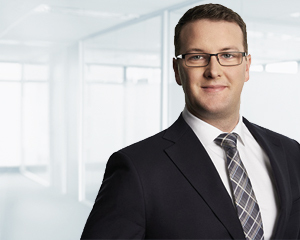 James assists clients in meeting their investment goals through proactive and personalised advice. Guided by the pedigree of the Dixon Advisory Investment Committee, James’ helps clients diversify away from sector specific risks and gain exposure to opportunities outside of Australian shares and cash. With the investment marketplace opening up and providing new investment opportunities all the time, James’ strength in research and communication ensures his clients understand the different risks and opportunities available to them to make informed decisions on the direction of their portfolio. “Every market cycle presents different investment challenges; the current environment is a primary example of that. I consider it my responsibility to ensure my clients are aware of what options are available and to help maintain a strong investment discipline that can endure over the long-term”. James also believes in providing outstanding client service. “I believe that longstanding and successful professional relationships are built on integrity. A central component of that is providing exceptional service and being readily available to clients”. James has a Bachelor of Business, majoring in Banking and Finance, from Victoria University and lived in South Carolina, USA for 12 months attending Clemson University on exchange as part of his degree. James also holds a Graduate Diploma of Financial Planning from Kaplan and has completed his Regulatory Guide 146 for Securities and Managed Investments accreditation through the Stockbrokers Association of Australia.